The jaws on calipers use two sliding scales to measure between two opposite sides of a tool or part. 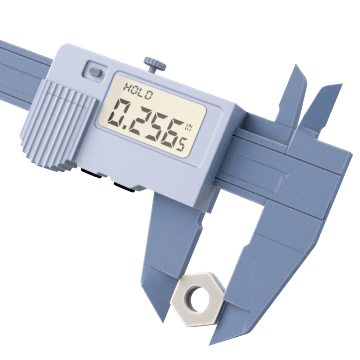 An LCD screen on these digital calipers clearly and accurately displays measurements without requiring interpretation. They can be set to zero at any point and include an on/off button, inch and mm control buttons, and display in inches or metric graduations. Read the final fraction of a millimeter or inch on a dial face for simple and precise measurements of inside and outside lengths and diameters. 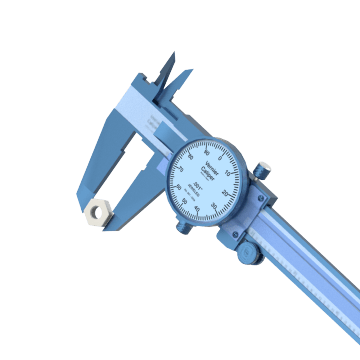 These calipers are easier to use than vernier calipers, which can take proper training to use accurately. 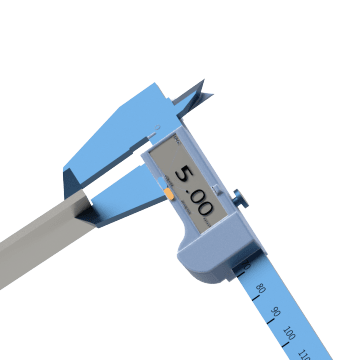 A fixed main scale allows for measurements in millimeters or 10ths of inches while the sliding vernier scale divides into even smaller increments for precise length and diameter measurements. 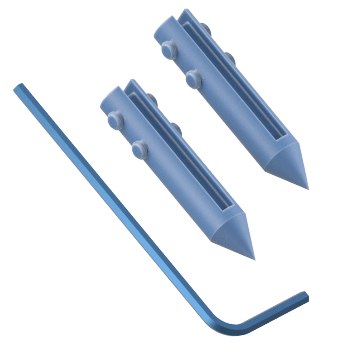 These tools require training for accurate use. Take quick measurements of hard-to-measure dimensions or of long distances. 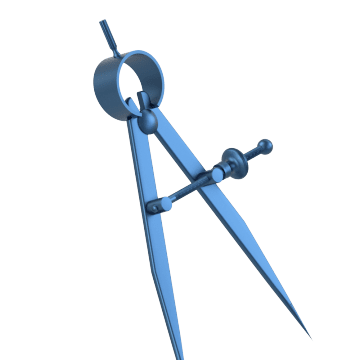 Similar to a compass, spring calipers use two spring-loaded adjustable legs for measuring. 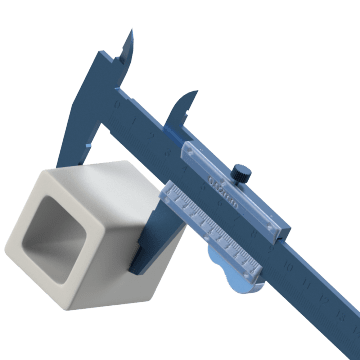 Simply adjust legs to the size of the dimension being measured, then check the caliper on a ruler or other measuring tool. Enhance or repair your caliper with these accessories and replacement parts.